We have competitive prices for our online Chinese lessons and courses. Below is a list of prices for a lesson with each of our tutors. Each lesson is 50 minutes, all prices are in US dollars (USD), and there are no additional fees (what you see is what you pay in USD). You can purchase as few as one lesson. Hey everyone, I am Bella from Chengdu, China. During college, I spent most of my free time teaching Chinese to foreign students. I also taught English to children in China as a part-time job during summer and winter vacation. Through my experience in teaching, I have formed a unique and effective teaching style. My English level is TEM (Test for English Majors) level 8. The goal of my teaching is not only to help people learn Chinese in a fun and relaxed way but also to help them communicate and understand each other better without language barriers. In 2014, I volunteered at a local primary school in Kathmandu, the capital of Nepal. At day I taught students children's songs in Chinese and basic Chinese words and sentences in the school and at night I went to an orphanage to take care of those kids there. I really enjoyed answering their all kinds of questions about China and spending time with them. Although my experience in Nepal is short, it is one of my best memories and it has a great impact on my life. It helps me to realize that teaching is my great passion. 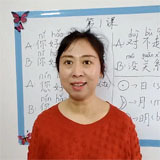 Now as a Mandarin Chinese tutor I work with students of all ages, from children to adults. Their level of Chinese fluency might differ. I emphasize the teaching of conversational rather than textbook Chinese. With this method, students learn to have a greater sense of self-confidence and accomplishment in their language mastery. I teach regular & business & travel Chinese. I can help students prepare for HSK exam, from level 1 to level 6. In my class, you will get a personalized study plan and a fun environment to learn Chinese. I am always very interested in learning a new language, which can help me sharpen my minds and be more creative and meet new people. I have also studied Japanese for 2 years in college and now I am learning Polish myself. Looking forward to being your Mandarin tutor! Hey everyone, I am Bella from Chengdu, China. 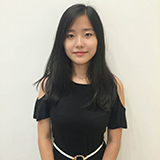 I've got a bachelor's degree in English and I have over 1 year experience of teaching Chinese to students all over the world. I am young, open-minded, positive, and thoughtful. I have a passion for sharing Chinese language, literature, and culture. My English level is TEM (Test for English Majors) level 8. I can teach Mandarin to adults, business learners, teenagers, and children. I can also teach HSK level 1 to level 6. If you are looking for an online Mandarin tutor, I look forward to helping you improve your Chinese! Hello, I'm Yang Dan, a native Mandarin Chinese speaker fluent in English (I scored 785/990 points on my TOEIC test). I was born and raised in Yuncheng, Shanxi Province, China. I can also speak Thai. I hold a bachelor's degree in Thai language and have taught Chinese and English at Nakhon Si Thammarat Rajabhat University in Thailand. In addition to lecturing, I have been teaching Chinese online for several years to students around the globe. In our trial lesson, I will be assessing your current Chinese level so that I can customize a course for you. I will also give you an introduction of the Chinese language and allow you to experience a taste of my teaching methods and course outline. I prefer to teach adults and teenagers. If you enjoyed the trial lesson and wish to continue learning with me, your future lessons will include accompanying audio files and academic worksheets. You will not need to prepare any materials on your own, just bring an eagerness to learn and follow my lead- You'll be just fine! So you've completed the entry-level lessons and want to progress to a higher-level or something more specialized, like Business Chinese? No problem! I experience teaching Chinese with an emphasis in a number of industries, such as: Hotel / hospitality, tourism, restaurants, art, religion, shipping & logistics and more! I have been teaching Chinese to other foreigners online including British, South African, Czechoslovakian, Thai, Indian, and Indonesian customers. I am experienced in working with foreigners from different countries and I enjoy learning about new cultures. If you're ready to learn Chinese, then I'm just the tutor for the job! Book a trial lesson with me today and let's start this exciting journey together! Hello, I'm Yang Dan, a native Mandarin Chinese speaker fluent in English (I scored 785/990 points on my TOEIC test). I can also speak Thai. I hold a bachelor's degree in Thai language and have taught Chinese and English at Nakhon Si Thammarat Rajabhat University in Thailand. In addition to lecturing, I have been teaching Chinese online for several years to students around the globe. The course I created, coupled with my teaching methods, have had incredible results! My clients' Chinese improved quickly and efficiently and every student I've had an introductory lesson with has gone on to learn with me long-term. 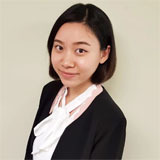 Whether you're a beginner or have some experience, if you're interested in learning Chinese through highly-effective teaching methods, book a lesson with me today! Thank you! Hi, my name is Joanna. I am a Chinese native speaker who can speak Mandarin and English. I live in Dalian which is a beautiful city in north of China. I got my Master of Education and Philosophy in the year of 2007. My English level is CET 6 (College English Test level of 6 in China). I can teach all levels of Chinese, specially the beginner level and the business Chinese. I had worked in foreign trade industry for about 10 years. In my opinion, language is a tool to share culture and experience. I hope to share Chinese culture with my students. To study Chinese, pronunciation is the most important thing. My Mandarin pronunciation is very good, and I will try my best to improve your Mandarin pronunciation. Chinese spelling is also very different from English, you have pay attention to the characters stroke order. I will use the whiteboard to teach you the right stroke order. To study a foreign language, the most important thing is to open your mouth to speak, I will try many methods to encourage you to speak more, to improve your oral Chinese. I believe the key in learning Chinese is to speak, speak and speak. I have two kids, I am very patient to my kids. When I teach children, I am also very patient and know how to encourage children to learn more. I like to teach something about their interests or something that relates to them. My goal is not only to help students learn Chinese in a fun and relaxed way but also to help them communicate each other better. I can help you prepare for HSK exam, from levels 1 to 6. If you have other Chinese tests and you need help, I can also help you prepare for those Chinese tests. To follow me to learn Chinese, you will get a personalized study plan and a fun environment. Looking forward to being your Mandarin tutor! Book a trial lesson with me and let's start this exciting study together! Hi, my name is Joanna. I am a Chinese native speaker who can speak Mandarin and English. I got my Master of Education and Philosophy in the year of 2007. I had worked in foreign trade industry for about 10 years. In my opinion, language is a tool to share culture and experience. I hope to share Chinese culture with my students. To study a foreign language, the most important thing is to open your mouth to speak, I will try many methods to encourage you to speak more, to improve your oral Chinese. To follow me to learn Chinese, you will get a personalized study plan and a fun environment. Looking forward to being your Mandarin tutor! Hello, my name is Jenny. I am a Chinese native speaker who can speak Mandarin, Cantonese, and English. I have been studying and living in Australia for more than 14 years. I have a bachelor degree in Urban Development at the Queensland University of Technology. During my tertiary studies, I have been working as a contract administrator in a project management firm for 1 year. After graduation, I moved onto a quantity surveyor position in a local construction company for 1 year. Whilst in university, I also had the opportunity to work as an interpreter for a Chinese developer in translating documents and participating in local conferences. I use flashcards and powerpoint slides to teach my students, which is an effective way for visual learners at all levels. You have the option to bring in your own learning materials or I can customize a study plan accordingly based on your level of Chinese.I can also prepare you for the HSK test from levels 1 to 4. I believe the key in learning a new language is about practice, practice and practice. So I will be very patient to my students and try to make each session as enjoyable as possible. Because I travel between China and the United States often, I love to take my students out for a "video excursion" whilst learning Mandarin. This will add a little interest to your learning experience and I can teach all the essential phrases that may come in handy for those who are about to travel. At the end of each class, I will provide you with some resources so you can revise over what you have learnt in class. In our next appointment, we can spend 10 minutes brain storming some of the key points from last lesson so that your knowledge can be solidified. I can teach Mandarin and Cantonese for adults ranging from beginner to intermediate level, and kids to teenagers. I look forward to having a trial lesson with you! Hello, my name is Jenny. I am a Chinese native speaker who can speak Mandarin, Cantonese, and English. I have been studying and living in Australia for more than 14 years. I have a bachelor degree in Urban Development at the Queensland University of Technology. I use flashcards and powerpoint slides to teach my students, which is an effective way for visual learners at all levels. You have the option to bring in your own learning materials or I can customize a study plan accordingly based on your level of Chinese. I can also prepare you for the HSK test from levels 1-4. At the end of each class, I will provide you with some resources so you can revise over what you have learnt in class. I look forward to having a trial lesson with you! Hello, I am Ricky Chen from Taiwan where people mainly use traditional Chinese and some simplified as well. Regarding tutor experience, I have taught many foreigners Mandarin in Taiwan. I have also tutored English and other subjects to kids aged 7-17 for 3 years when I was at college and the kids liked me. So, I know how to communicate with them, be patient and get their attentions. Since I am a native speaker of Mandarin, I am capable of providing the correct info to solve your Mandarin questions. My teaching style is pretty flexible depending on who I am talking with. If they are kids/teenagers, I prefer teaching something about their interests or something relates to them. If you are adults or for specific professions, we can discuss to finalize what to learn. In addition, I have been working for technology/manufacture field for more than 8 years and the main business model is for B2B. I also have experience in startups. If you need to learn some official Mandarin terms/words related to business, I can help with that as well. Since my clients are from the USA and mid-east countries, my English level is around intermediate and am able to communicate. About my interests, it covers a lot like indoor (music, movies, cook, reading etc.) and outdoor (sports, camping, hiking, traveling etc.) activities which could be our Mandarin subjects if needed. I enjoy meeting new people from different countries and learning new cultures and traditions from around the world. With regard to my available time, I have a full-time job in tech field, so my available time is usually at nights during the week days (Taipei time). I am free all day during weekends. Let's have a trial session to see if I am a right fit for your need. I look forward to meeting you on Skype. 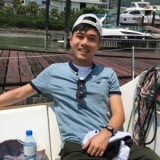 Hello, I am Ricky Chen who is a native speaker from Taiwan where people mainly use traditional Chinese. I could teach you Mandarin as it's spoken in Taiwan and teach you both simplified and traditional Chinese characters. I have taught Mandarin and English to kids as young as 7 years old and also to some adults. I also taught and tutored other subjects for 3 years when I was at college and all my students liked how I interacted with them. Right now, for my full time job, I also deal with a lot of B2B communication. Especially for kids and teenagers, I know how to communicate with them, be patient, encourage them to talk and get their attentions. Besides learning languages, I like Chinese history and cultures which may also help you learn Mandarin as well. Hi everyone, I’m Rachel. I’m from North East China, a city called Harbin and I speak standard Mandarin. I have traveled in 14 countries. I like meeting new people and getting to know their own stories. I have some worksheets and cards on different topics to help you with speaking and reading such as ordering food in a restaurant, talking about your home and general chatting. I use cards to teach individual Chinese words and characters, along with the associated PinYin. Many students find my cards are helpful when learning new words in Chinese. If you want to focus on something specific like pronunciation, reading or conversation, just let me know and we can do it. I speak 3 languages. I’m Chinese native speaker, my Spanish is about elementary level, and I am fluent in English. Because I’m studying these languages, I understand the differences between them and Chinese and so this helps me teach Chinese and also answer any question you have about China or Chinese. I have been teaching Chinese online to foreigners since I graduated from my university. I used to teach foreigners Chinese while I was studying in Malaysia too. I also worked at Holiday Inn in Harbin and another hotel in Malaysia so I have a lot of experience servicing foreign customers in the hotel industry. I really enjoy teaching, so now I’m teaching more students from all around the world. I enjoy teaching students of all ages, from children to adults! Feel free to ask me anything you want know in Chinese. I know it can be difficult to speak Chinese at the beginning, but we will practice more and make you feel more confident about speaking Chinese. I can teach all levels of Mandarin, from beginner to advanced. I can speak clearly and slowly to make sure you can understand me. Please note that I will raise my price to $11.48 USD for a lesson on April 17, 2019. I hope to see you soon! Hi everyone, I’m Rachel. I’m from North East China, a city called Harbin and I speak standard Mandarin. I have a Bachelor degree in Hospitality Management. I lived in Malaysia for 3 years and now I’ m living in China. I speak 3 languages. I’m a Chinese native speaker, my Spanish is about elementary level, and I’m fluent in English. I have been teaching Chinese to foreigners since I graduated from my university. I’m friendly and my teaching style is interesting and easy to understand. I have many worksheets and cards base on different topics. I can help you with Chinese characters, pronunciation, reading or conversation. Let me know what you want to learn in our lessons, so we can work on it together. Hi there, my name is Ricky. I have teaching Chinese for 6 years: 2 years in Shanghai teaching face to face, and 4 years in my hometown teaching on Skype. I have a bachelor degree in arts, majoring in International Economy and Trade. I formerly worked in the International Department of Shanghai Jiaotong University. We offer many business courses for foreigners, such as MBA, Project Management, also Chinese course. From that time I have opportunity to work with foreigners and start my Chinese teaching. My English level is CET 6 (College English Test level of 6 in China). I can teach all levels of Chinese, specially the beginner level and the business Chinese. My students are from 9 to 70 years old, and they are all from different fields such as finance, media, health, education, transportation, and other business fields. I also have experience teaching children and teenagers. I have 3 younger students now, one 9 years old and two 14 years old. As a mom, I am also raising my own daughter so I know the patience required when teaching children. Also, I have experience preparing students for HSK exam. I can help you with preparing for the HSK exam, from levels 1 to 6. If you have other Chinese tests you would like me to help prepare for, please submit the test material to me and I can help you prepare for those Chinese tests. I’d like to communicate with my students in more practical way and go to more deep level, not just explain the text book. I will prepare particular material for different students and help them to achieve their targets. Finally, in my courses, you can also decide your own course schedule and use totally customized course materials. Look forward to meeting you! Hi there, my name is Ricky. I have teaching Chinese for 6 years: 2 years in Shanghai teaching face to face, and 4 years in my hometown teaching on Skype. I can teach all levels of Chinese, specially the beginner level and the business Chinese. I also have experience teaching children and experience preparing students for HSK exam. I have a bachelor degree, majoring in International Economy and Trade. I formerly worked in the International Department of Shanghai Jiaotong University. My English level is CET 6 (College English Test level of 6 in China). In my courses, you can also decide your own course schedule and use totally customized course materials. Look forward to meeting you! Hi, my name is Afra. I am a Chinese native speaker who can speak Mandarin, Cantonese, and English. I used to study and live in Australia for 7 years. I have a bachelor degree in Commerce (majoring in Finance and Accounting) and a master degree in Financial Analysis at the University of New South Wales in Australia. After graduation, I have returned to China and joined a foreign bank as a business manager assistant for 4 years. 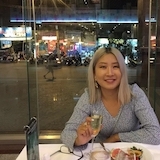 I can teach both Mandarin and Cantonese at all levels and topics, to beginners or advanced learners, kids or adults, daily conversation or business Chinese. My preferred teaching style is guided conversation. I also use a whiteboard to teach during my class as I find many students find this helpful when studying Chinese characters. With students of all levels, I like to use articles, short audio/videos, or prepared questions to get students thinking and speaking the language they are learning. My teaching skills allow my students to speak Chinese with great confidence. To make sure you get the most out of my course, I will prepare a detailed handouts and voice clip for you after each lesson, so that you can go back and practice the language by yourself. I feel really happy to introduce the Chinese culture and current affairs when teaching related topics with my students, as I believe this will help them to get a more comprehensive understanding of the language. I will professionally design a tailor-made study plan to help you achieve your goals in an enjoyable and effective way. I hope you will enjoy the positive and productive learning environment that I create. Hi, I am Afra. I am a Chinese native speaker who has been teaching Mandarin and Cantonese for more than two years. My preferred teaching style is guided conversation. I also use a whiteboard to teach during my class as I find many students find this helpful when studying Chinese characters. With students of all levels, I like to use articles, short audio/videos, or prepared questions to get students thinking and speaking the language they are learning. My teaching skills allow my students to speak Chinese with great confidence. To make sure you get the most out of my course, I will prepare a detailed handouts and voice clip for you after each lesson, so that you can go back and practice the language by yourself. Hello, my name is He Qian. 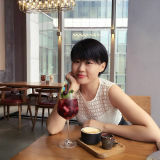 I live in Kunming, China.I am a Chinese native speaker who can speak good English, I teach Chinese online to students from all over the world. 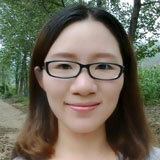 I have a bachelor's degree and 10 years experience in teaching Chinese.I am patient,humorous and knowledgeable. Let me know your Chinese level, I will be happy to customize my course for you. I generally use only audio on Skype and I speak very clearly and it's easy to learn off of me.I will give you a bonus if you book my lessons on Skype, that is: I can help you study Chinese via WeChat, you can send me voice or text messages as many as you want to at any time, I will correct your pronunciation and answer your questions,and then you can listen to the recordings of ours again and again.It is efficient and convenient.